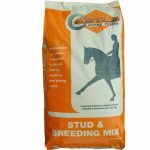 Stud & Breeding Mix is a high-quality mix for broodmares, stallions and young stock, formulated to promote prime condition and health. 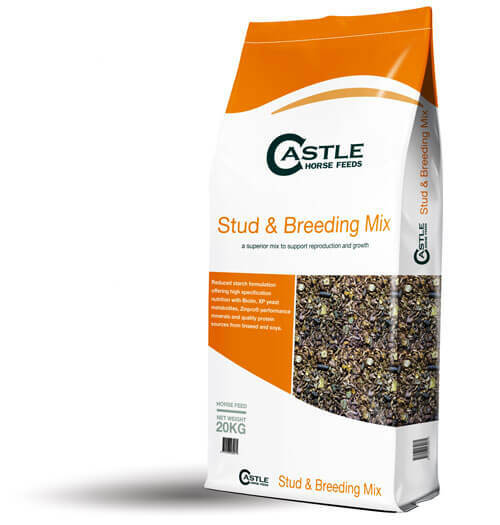 Stud & Breeding Mix supports optimum reproductive function, growth and development through its elevated profile of protein, vitamins and minerals. 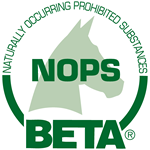 This feed can be offered to foals as their first cereal feed. Oats, Oat Feed, Grass Pellets, Hipro Soya Meal, Molasses, Micronised Flaked Peas, Wheat Feed, Micronised Flaked Maize, Full Fat Linseed Meal, Hipro Sunflower Extract, Vitamins & Minerals, XP Yeast, Soya Oil.